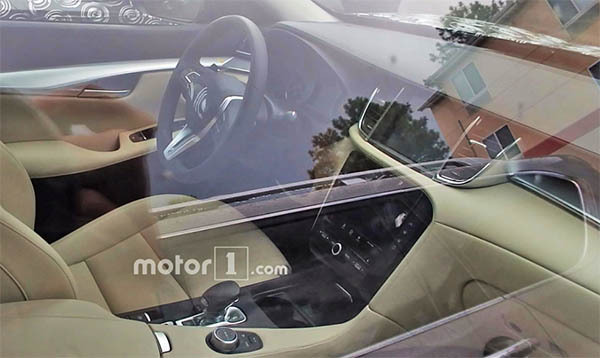 First pictures of the all new Infiniti QX50 interior HERE. And it already looks really nice. Also, very very close to the concept we saw last year. Inside and out. Which is good. The only weirdness to me is the double screen. 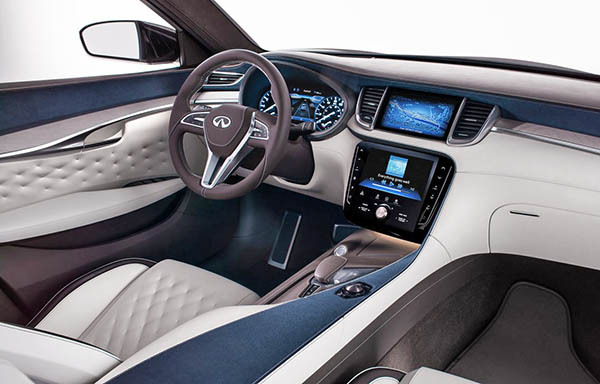 Just like in the Q50. At lest they left a few knobs. Which is great. Which seems a really nice place to travel. Much more pictures, of the interior as well as the exterior, HERE. This or the Volvo XC60 will be my next vehicle in about 6 months, I love the look of this. Great job Infiniti. I like the interior look! The exterior needs to be assessed when the camouflage is gone! I hope they do something to improve the horrendous mileage of the old model. That thing drank more gas while coasting than an F350 hauling a 40 ft boat up the Grapevine mountains. But I was never able to get over 23MPG on the freeway. Which was the worst ever. The new one will have their 2.0 Liter engine used on the Q50 sedan. And probably the 3.0 V6 as an option. So things should be much, much better. Let's just hope it is as nice to drive as the current one.